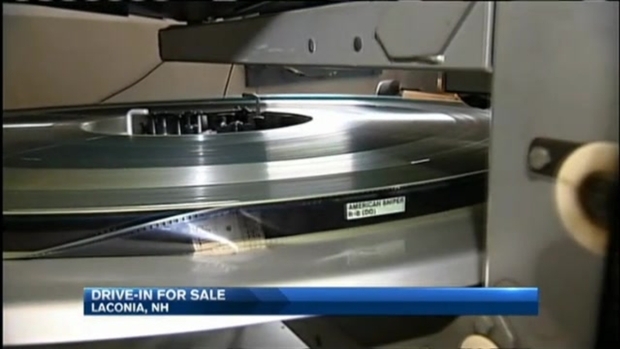 One of New Hampshire's last drive-in movie theaters is back on the market after archeologists posited there may be Native American remains or artifacts buried under the theater's acres. Richard Boisvert, a state archaeologist, says the land near Weirs Drive-In Theater in Laconia was once a Native American fishing camp. Al Mitchell, the planned buyer, backed out of the $2.5 million sale due to concerns about added costs if remains or artifacts were discovered during construction. Mitchell says he's disappointed the deal fell through. Theater owner Patricia Baldi says the recent developments are ridiculous, but says there are other interested buyers already putting in offers. Kevin Baldi, who works at the theater, says attendance isn't what it used to be, and it would cost more than $350,000 to make the necessary switch to digital. Furthermore, his grandmother is starting to get old into her 70s. Patricia Baldi says there is a chance she could reopen the drive-in movie theater next summer if no buyer emerges.